Another guy who never should have been traded, especially for Woodie Fryman and Dale Murray. I mean, seriously? 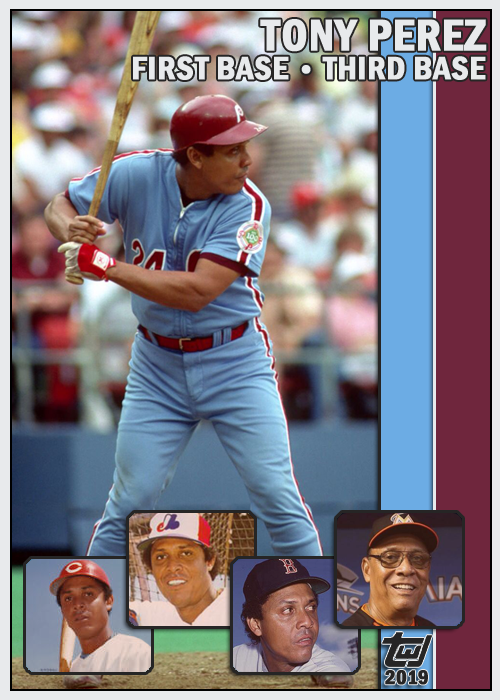 Tony Perez wasn’t flashy like Pete Rose or an all-time great at his position like Johnny Bench, but he was a key part of the Big Red Machine. Okay, so he was on the decline and Dan Driessen showed some promise, but I don’t know if the fans will ever forgive the front office for letting the Doggie get away in 1976. After seven years in the wind, Perez came back to Cincinnati to finish out his career. 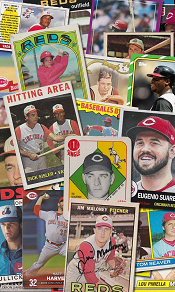 Posted on March 20, 2019, in baseball, baseball cards and tagged Boston Red Sox, Cincinnati Reds, Miami Marlins, Montreal Expos, Philadelphia Phillies, Tony Perez. Bookmark the permalink. Leave a comment.